Employers are looking for students like you, contact: Lisa Fikki, CoBA Internship Coordinator, fikkil@umsl.edu and receive notifications on upcoming internship opportunities. Fleishman Hillard Metal Exchange Co.
One of the highlights of our IMBA program is the opportunity for each student to participate in an internship placement the summer after they complete their classroom studies. 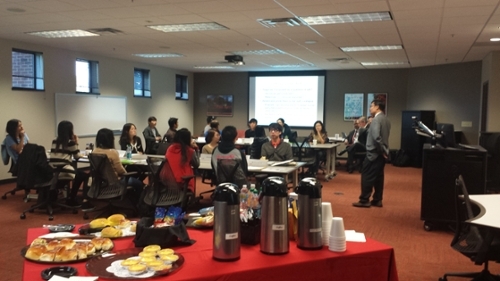 UMSL works in cooperation with some of the premier companies in St. Louis to place the IMBA students from our partner universities to work in those companies for their International Internship as part of their IMBA programs.